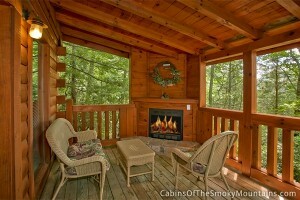 Two couples or a small family can easily share this space, with plenty of areas to hang out separately or together. 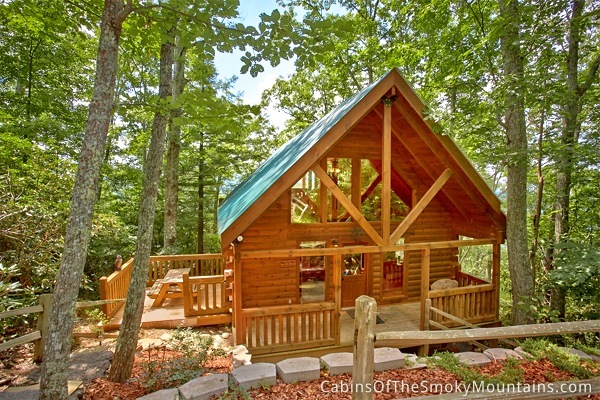 Splitting the cost by sharing a cabin is where the true savings of this form of accommodation is most apparent. And the living is easy compared with a hotel, a home away from home, with all the comforts, real meals, and room to move around or just relax. 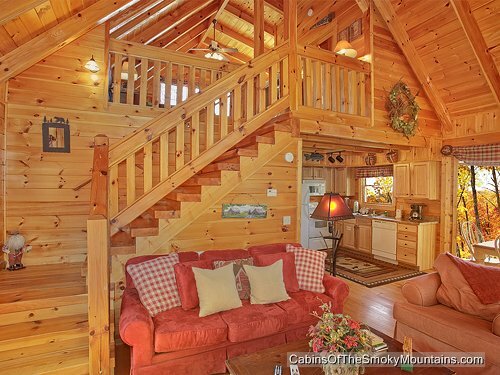 Above the Rest is a cabin with everything right where you want it. Where do you want to explore first? Which of the 3 deck areas? 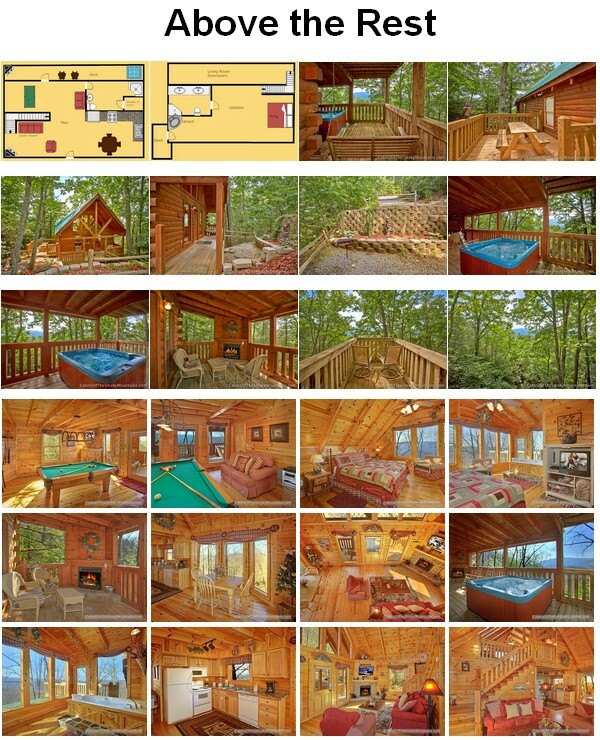 How about the one in back, with the hot tub at one end, and the gas fireplace nook at the other end? 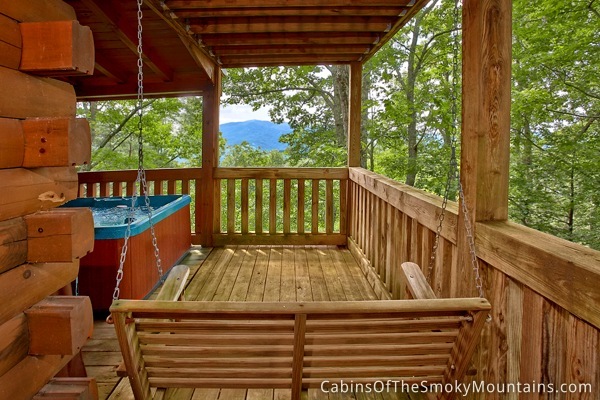 And the views of the mountain skyline, to gaze at from the rocking chairs, or the hot tub, or the swing around the corner. Is it time to eat yet? 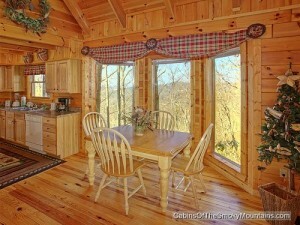 The open kitchen and 4-person dining area is inside. 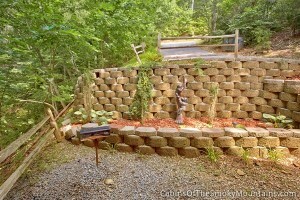 Meanwhile outdoors, there’s the charcoal grill in the patio area by the front porch, and with the side deck and picnic table waiting for the gang to get together over a bite of food. 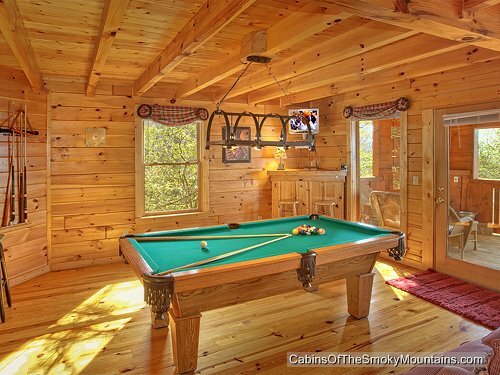 Inside the cabin, throw the dishes in the dishwasher, and it’s more fun in your own pool hall with-a-view, and more easy time in the living area, with music, a movie, cable TV, WiFi, or just sitting round the fireplace. 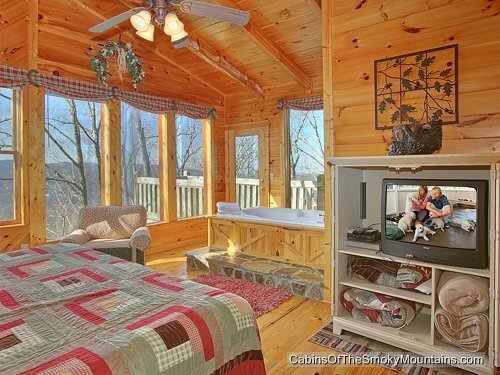 The upstairs master suite is in communication with the downstairs, but its own world with lots of windows, and lots of Smoky Mountains. 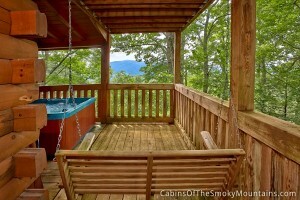 The Jacuzzi shares the view as easily as the bed or the armchair. With the hot tub downstairs, you could stay wet all weekend if you wanted and never miss a view of the mountains. Above the Rest is in a great location for running into town, a few minute’s drive along Roaring Fork Road to Parkway. Although the roads are pretty easy, winter is still the mountains and a 4-wheel drive vehicle is sometimes recommended for these roads. Be sure to call us (24/7 at 855-91-SMOKY) to check when you book. Above the Rest is one of those cabins that are often booked months in advance. People come back to it time and again. It has that perfect feel, built just right for living in. But even this cabin has its quiet times when it’s available for our many specials, including the half-price discounts we run at the last minute. 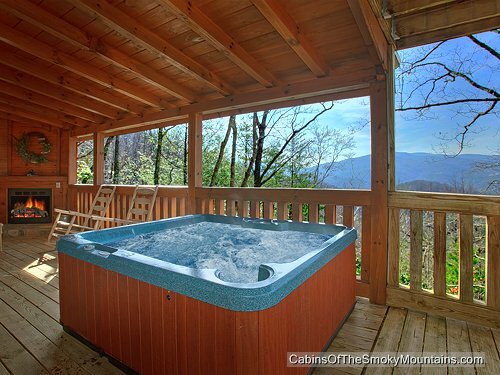 So if you’re in a position to make a short-notice trip to the Smoky Mountains, keep an eye on our Specials page. 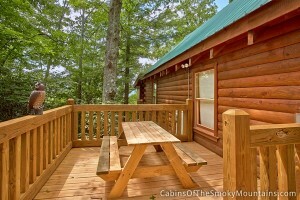 And remember that this cabin also gives you free access to our wedding facility, as well as our complimentary gift book of coupons for local attractions, worth over $400. 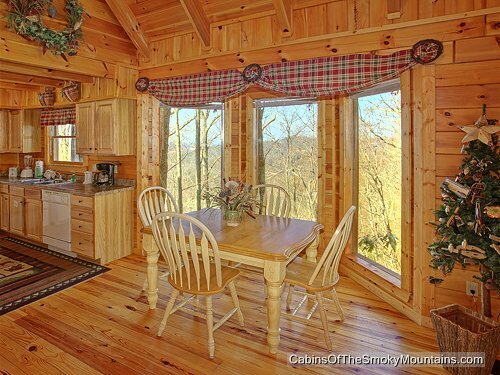 Click for floor plans and to check availability and book Above The Rest for your next trip! 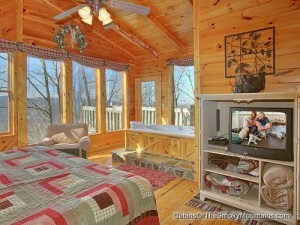 Above the Rest cabin. CLICK HERE to book and for images, amenities and availability.